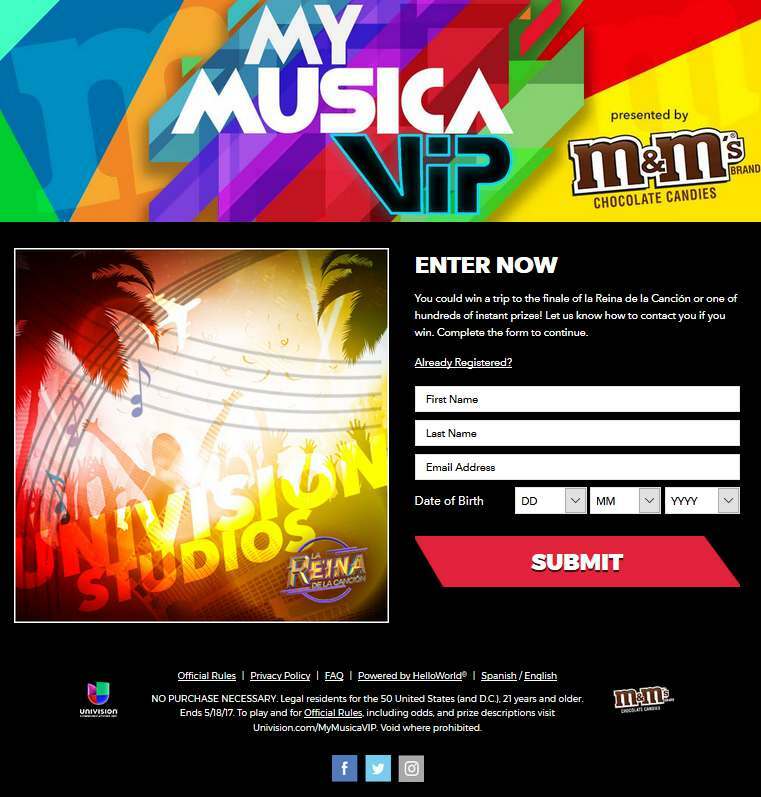 You could win a trip to the finale of la Reina de la Canción or one of hundreds of instant prizes! Let us know how to contact you if you win. Complete the form to continue.